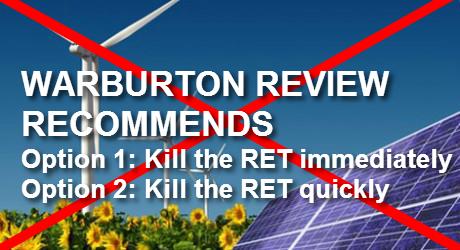 Reports the Abbott government are seeking to “axe” the Renewable Energy Target puts a sharper focus on state government plans for renewable energy. With a Victorian state election on the horizon, voters want to know what plans the major parties have to secure renewable energy jobs and investment. 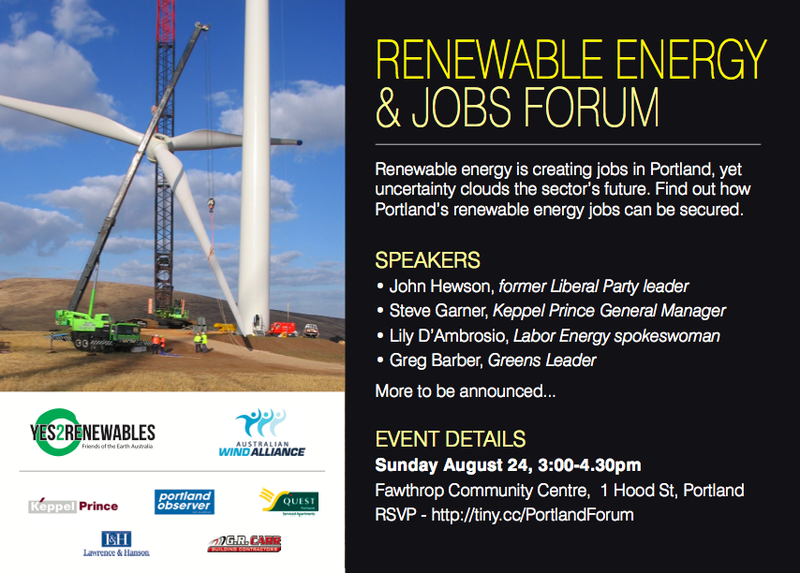 A Renewable Energy & Jobs Forum in Portland on Sunday August 24 will become a crisis meeting since the Abbott government announced its’ intentions for the national Renewable Energy Target. The Forum, presented by Friends of the Earth’s Yes 2 Renewables project, the Australian Wind Alliance and local businesses, will allow the political parties to set out their plans to secure jobs and investment in the renewable energy sector.